TeamWave's Calendar is designed to give you a big picture of your Organisation's schedule. Calendar view makes it easy to see what's scheduled for that day/week/month. 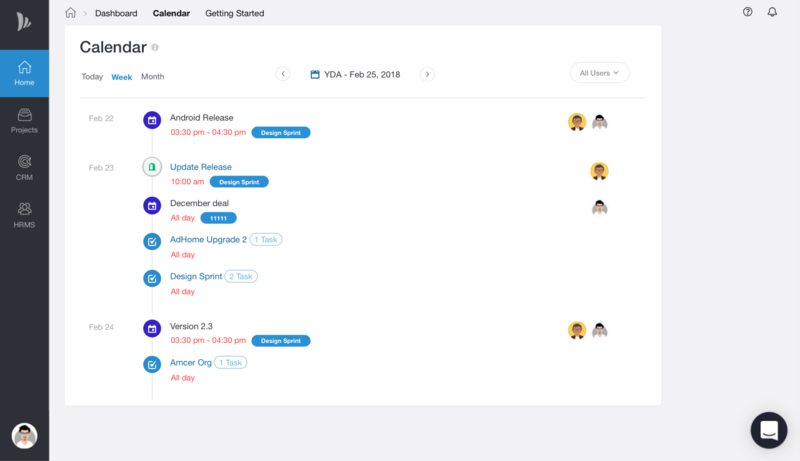 You can see all the Tasks, Milestones, Events, Activity scheduled by all the users for that period. You can even filter calendar by users and see how his day is scheduled. A user can see the details of the tasks/activity/milestone/Event only if he has access to that specific tasks/activity/milestone/Event. Else, it will be shown as private tasks/activity/milestone/Event.